Ravichandran Ashwin to Ajinkya Rahane. Carrom length ball, outside off stump down the track driving, mis-timed in the air uncontrolled to long on for 1 run, fielded by Rahul. Ravichandran Ashwin to Rahul Tripathi. Carrom ball back of a length, outside off stump on the back foot pulling, to long on for 1 run, fielded by Rahul. Rajasthan Royals Won the Toss and Opt to Bowl!!! Follow KXIP vs RR live score and know what is happening on the ground with us. Let’s look at the KXIP vs RR previous matches records. Catch Indian Premier League KXIP vs RR Live Score ball by ball commentary with fast scorecard updates, Results and much more. 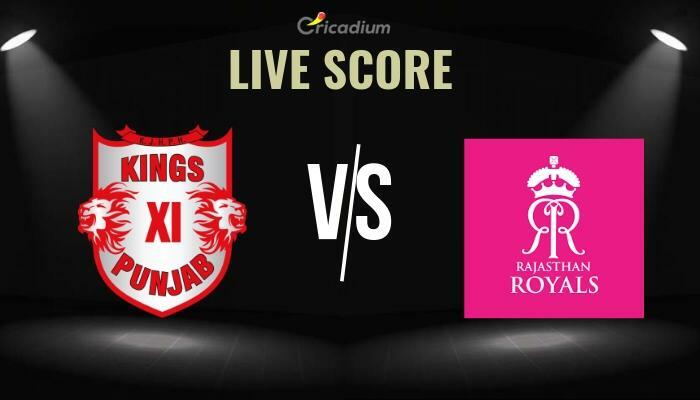 For KXIP vs RR Live Score ball by ball commentary stay connected to Cricadium.